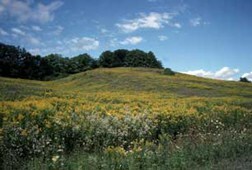 The Oak Ridges Moraine is a landform unique to southern Ontario. One of Ontario’s largest moraines, the Oak Ridges Moraine extends 160 kilometres from the Niagara Escarpment in the west to the Trent River system in the east, and is on average 13 kilometers wide. The Moraine covers a geographic area of 1,900 square kilometers (734 sq mi) approximately 1/3 of the size of Prince Edward Island! One-hundred-and-fifty meters deep, the Moraine stands out as one of the most distinct landscapes of southern Ontario. Its height above the flat lands to the north and south, its rolling hills and river and stream valleys and large blocks of mixed forest provide solace and a sense of connection to the people who live, work and play on the Moraine, natural and wild habitat for flora and fauna, and untapped recreational opportunities. 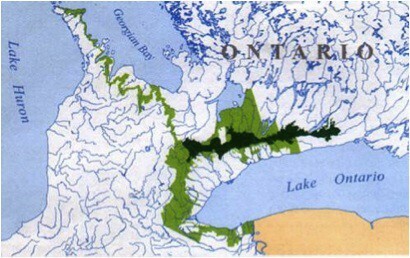 The Moraine has an enormous amount of biodiversity. However, the Oak Ridges Moraine is more than just a beautiful landform feature with its breathtaking vistas, rolling hills, wooded valleys and ‘kettle’ lakes. Its most precious feature lies hidden below the grounds’ surface. For more information, check out our page about water.